This is a 3 hour mid-morning tour of Washington DC. 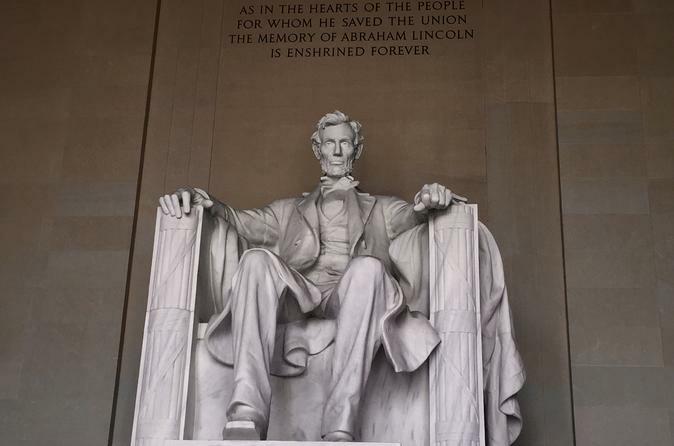 Stops include popular sites including The Capitol building, the White House, World War ll Memorial, the Vietnam Memorial and the Abraham Lincoln Memorial. This is a 3 hour mid-morning tour of Washington DC. Stops include popular sites including The Capitol building, the White House, World War ll Memorial, the Vietnam Memorial and the Abraham Lincoln Memorial. Approximately 15 minutes is spent at each site throughout the tour. On the way to the White House, we will travel down Pennsylvania Avenue, America's Main Street, home to major landmarks such as the National Gallery of Arts, the Newseum, the National Archives, the Navy Memorial, the Justice Department, the FBI Building, Old Post Office Pavilion and the Freedom Plaza. All of our tours depart from this 450 New Jersey Avenue. Please arrive 30 minutes prior to tour departure. Special Offer - Book and save 20% compared to the local supplier's price for select weekend travel dates! - Book Now!